One of our most popular print products is the Forecourt Overbag. 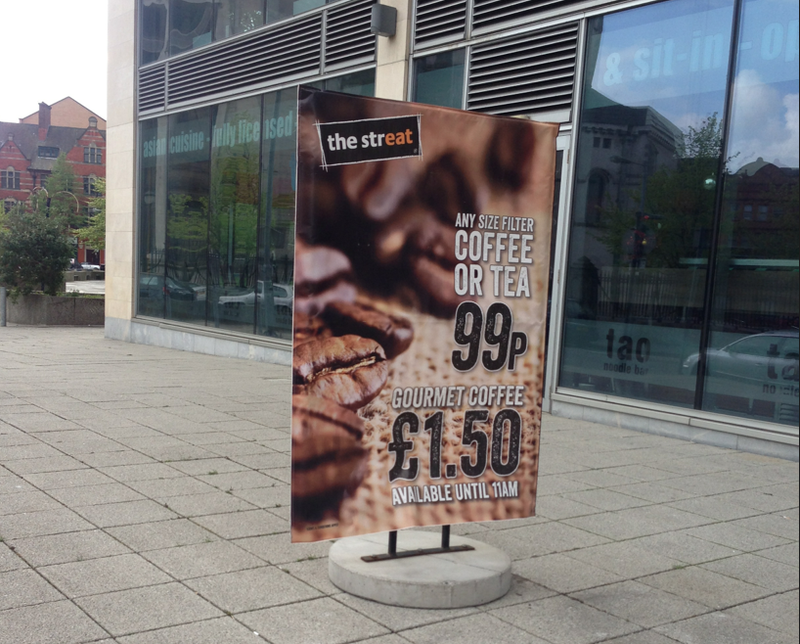 Seen at almost every petrol station across Belfast, these outdoor signs are extremely durable and very cost effective. Within the large format department, we probably sell more overbags than any other product and for very good reason. This is an awesome printed product. 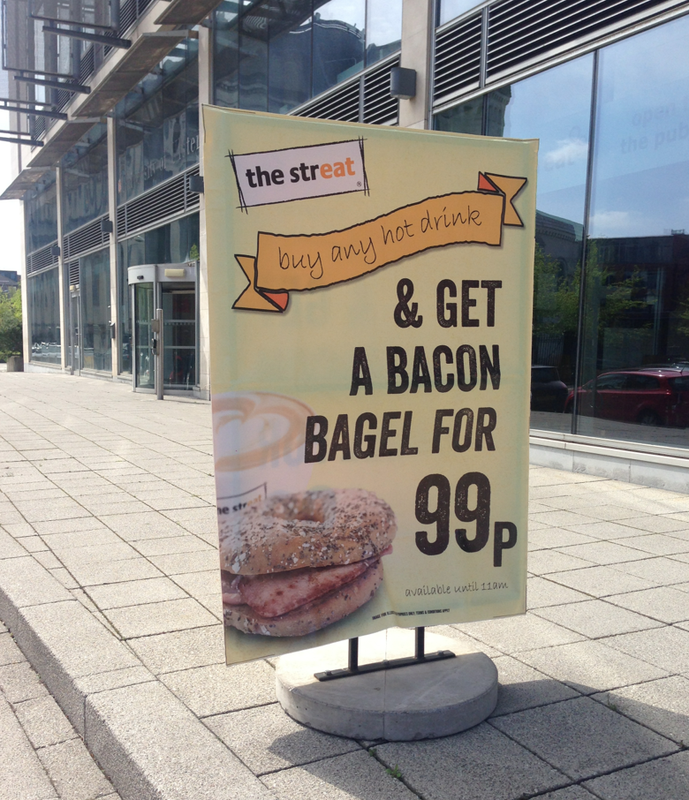 With our large format printers, we can print up to 1300mm wide and by any length, so these pavement signs can take up as much or as little space as you need and they really make a huge impression outside your business. In the last 12 months many other businesses have started using PVC overbags to promote their products and services. Examples include restaurants, beauty salons, hairdressers and retailers such as Centra, Supervalu and Mace, all of which we serve with our forecourt overbags. Starting at only £35+vat per overbag for individual prints and with further discounts for large orders, our overbags are cost effective enough to change regularly, but also so durable, they’ll last many months outside, especially in our NI climate. If you require a frame for your sign, we can also provide this and can custom build these to almost any size. 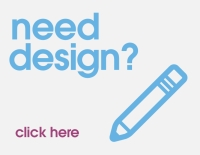 Get in touch with us on 028 9002 2474 to discuss the opportunities for your business. We love marketing and helping our customers come up with effective marketing plans. There is no order too large for our printers and we regularly print 200+ overbags for wholesale businesses across the UK & Ireland, so get in touch, we’d love to help.